If you look, really look, and see the lines and shapes that things are made of, you can draw anything! 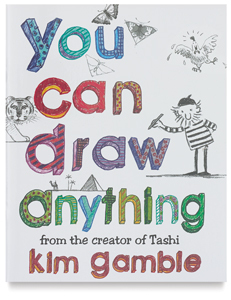 Through step-by-step guidance, helpful tips, and lots of pictures, You Can Draw Anything shows kids how. 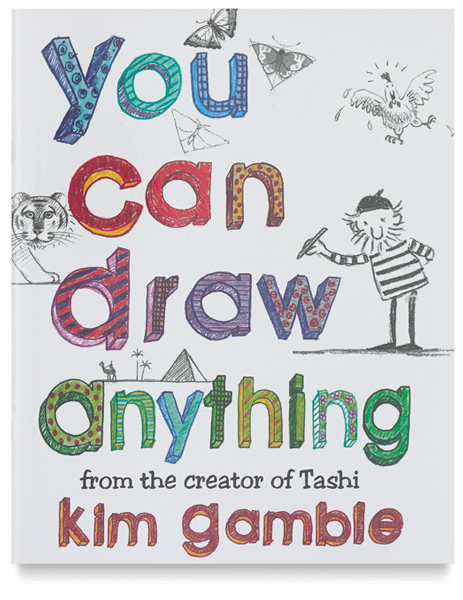 Author Kim Gamble, a popular picture-book illustrator, demonstrates his easy method for drawing animals, faces, bodies, people in action, buildings, machines, and anything else kids can think of. Plenty of stories, jokes, and examples make his approach to drawing intriguing, effective, and fun. Paperback. 48 pages. 8½" × 10½" (22 cm × 26 cm).